Unknown leaks can cause severe damage to your home, both structurally and cosmetically. The best way to fix a leak is to prevent it from happening, with preventative maintenance. However, if a leak springs up, taking care of it as quickly as possible will prevent more damage from occurring. A licensed, professional plumber can help you with leak resolution, and keep your home safe and sound for years to come! It may be tempting to do it yourself, but often times there can be multiple leaks, or the water could be coming from an area seven feet away from where the damage has been spotted! One major issue with leaks is that most people are unaware that there is one, until it’s already caused extensive damage. 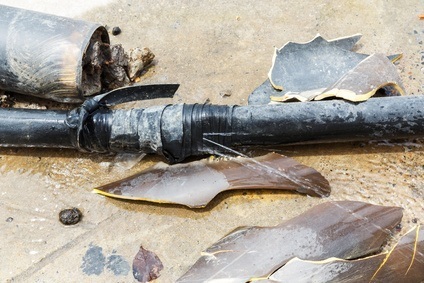 A broken or ruptured water pipe can flood an entire home in minutes, causing huge losses. If you notice something like water on the floor in the bathroom, or damaged walls with stains that appear for no reason, that is generally a sign of a leak. Instead of ignoring these tell-tale signs, call a plumber out! Catching the problem early is the key to stopping further damage.Your plumber will be able to detect and fix the leaks, as well as locate any other potential future issues, saving you time, damage, and headaches later! If you are having issues with a possible leak, get a hold of Kost Plumbing at (352) 817-7647 or use our online service request form to reach out to us.